1. Do I get CPE credit/points for taking a course? 2. How do I print or view an invoice or receipt? When your order is completed, we’ll send you an order confirmation email. This happens automatically at the time at which the payment is processed. Currently our only payment gateway is PayPal. As such, invoices are handled by PayPay. If you’ve recently made the transaction, you should see it appear in “Recent Activity” on the main screen. If it doesn’t appear there, go to > My Account > History, and enter the appropriate date range to display the transaction. View or print as required for your records. 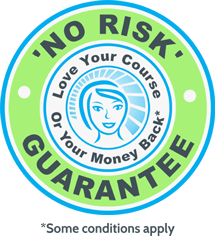 A Certificate of Completion is available once the course lessons are completed and any quiz that may be applicable. (Our system will determine when you have successfully reached the end of the lessons). If your certificate does not appear under Completed Courses, then go back in and ensure you have completed all the lessons. 4. Do I have to be a registered therapist or practitioner to take a course? No. While our courses are designed for health and fitness professionals, they are open to everyone. Our courses are relevant for manual therapists which covers a wide range of modalities. If you have an interest in a particular topic we offer, such as – physical conditioning, self-care, client management or movement therapy, we’re happy to have you onboard, learning. There are no pre-requisites as such, but if you are already a qualified therapist, we would suggest that a minimum of Certificate IV in Massage Therapy would give you adequate training to understand the anatomy, physiology and terminology in the course. 5. Do I have to pass a test to complete the course? Some of the courses will have a Quiz at the end of each topic, or at the end of the course. They are quick and easy with multiple choice answers. The Quizzes are designed to be a general self-test at the end, so we know you have understood the concepts.